Posted February 5, 2019 by Andrea Laford & filed under Headlines, News. Whoopi Goldberg spoke to to David Tennant, who played the tenth Doctor on Doctor Who, during the second episode of his new podcast. During the podcast, she revealed that she pitched the idea of an American version of Doctor Who with herself as the lead. 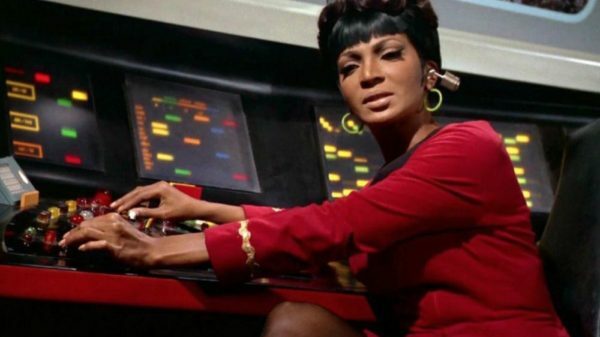 Goldberg, a science fiction fan since childhood, retold her story to to David Tennant about how seeing Nichelle Nichols play Lt. Uhura on Star Trek was both a revelation and inspiration. 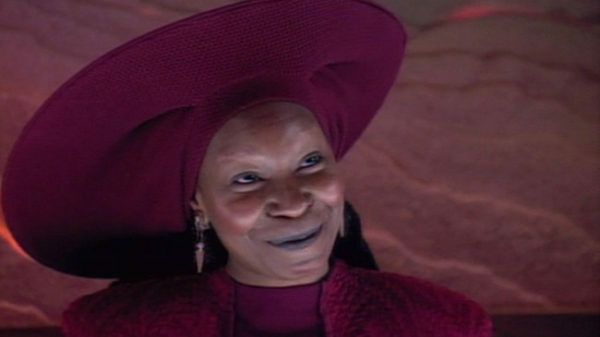 That became the impetus for her to request a role on Star Trek: The Next Generation and the show’s creator Gene Roddenberry wrote for her the role of Guinan, the wise El-Aurian bartender on the starship Enterprise, who could provide invaluable counsel to anyone who needed advice. Goldberg spoke to LeVar Burton, who play Geordi La Forge on the show and he gave her Roddenberry’s phone number. Roddenberry, who didn’t believe at first that a movie star would want a role in his show, arranged a meeting with her. Current Doctor Who lead Jodie Whittaker recorded a session of David Tennant Does a Podcast with… which will be available available on February 11.